Guatemala is a truly a unique country and has everything from ancient Maya ruins, charming colonial towns, rich culture to active volcanoes. It’s just one of those countries you don’t want to overlook. In every little corner there is something to discover, to explore, to climb and to take a pictures of. If you don’t want to miss out on any of Guatemala’s gems, check out this list of 12 best places to visit in Guatemala. Please note: This listed is in no particular order and number 12 on the list might very well be as amazing as number one. 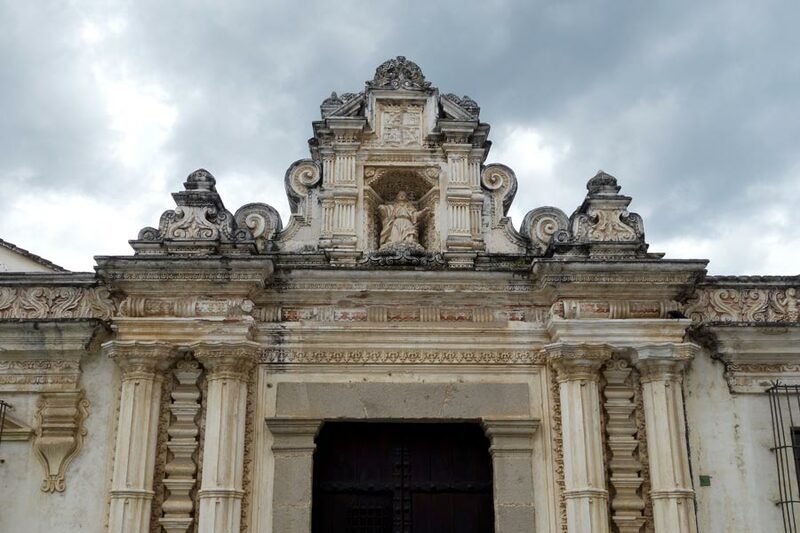 So without further ado, here are our choices of the best places to visit in Guatemala. 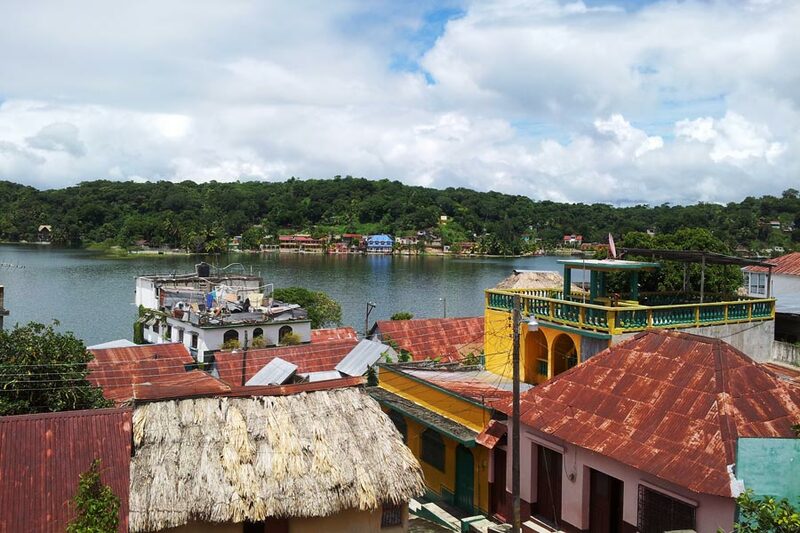 Flores is a charming colonial town located on an island on Lake Peten Itza. Most travelers base themselves here because of it’s close proximity to Tikal and other attractions in the surrounding area. However, many travelers find themselves staying longer than intended as Flores’ tranquil vibe, and beautiful colonial charm tend to cast a spell on them. So take it easy, loose yourself in the cobblestone streets of Flores or rent a kayak from your hotel and explore Lake Peten Itza’s shoreline. Tikal is by far one of the most breathtaking Mayan ruin site in Latin America and although the site is visited by thousands of visitors every year it feels way less touristy than Chichen Itza in Mexico for example. 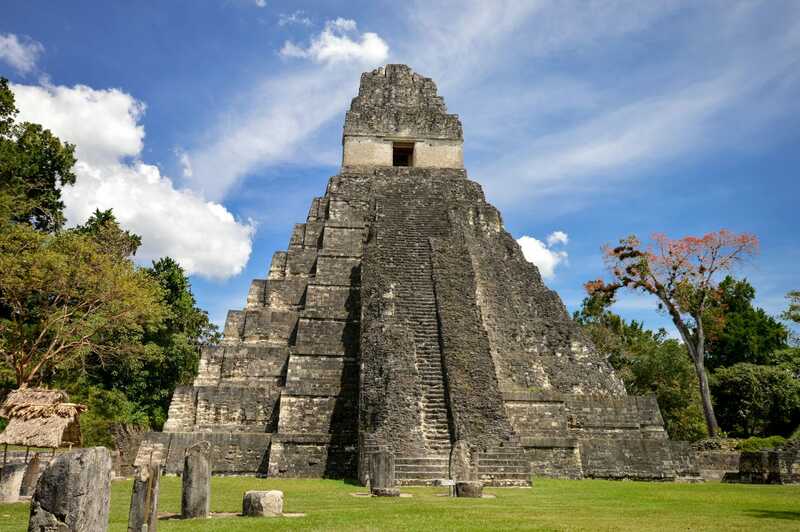 What makes Tikal so special you ask? Well, for one it’s located in the middle of 575 square kilometres of dense jungle, home to toucans, parrots, howler monkeys, and many other exotic animals. Not to mention, it’s dominance over the skyline with the tallest pyramid being over 200 feet. Visiting Tikal evokes a sense of wonder, giving you that Indiana Jones I-am-discovering-mystic-ancient-ruins-in-the-middle-of-the-jungle feeling, minus the booby traps and gold idol of course. 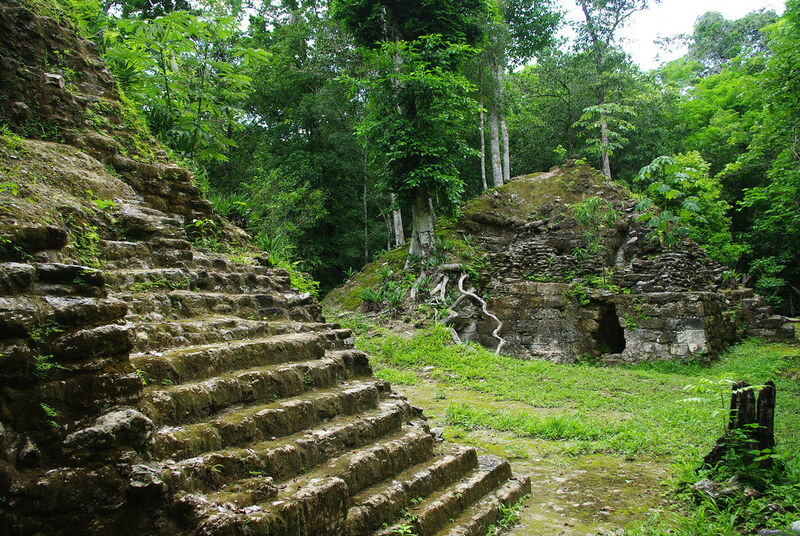 If you are up for something even more adventurous, you should definitely take the 5-6 day hike through the untamed, and dense forest to the remote Mayan settlement, El Mirador. Some travelers have argued that El Mirador, the ruins lost deep in the jungle are way better than Tikal, and Tikal is pretty freaking magical. So that has to tell you a lot. The lush green canyon of El Boqueron is probably one of the most underrated attractions in Guatemala with barely any guide books mentioning its breathtaking beauty. 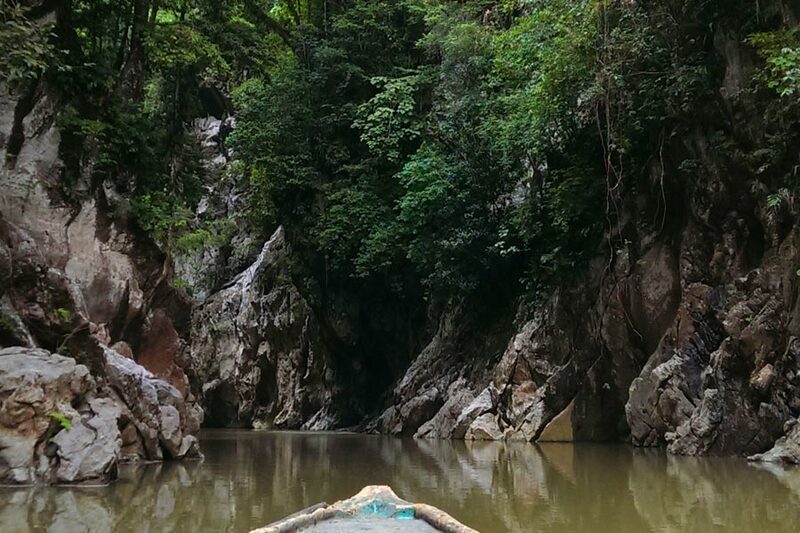 The narrow canyon with its gigantic limestone walls covered in vegetation and caves will leave any visitor in awe and wondering how could something so majestic be hiding just an hour away from the chaotic town of Rio Dulce. So do yourself a huge favor, hop on a collective bus to El Boqueron and pay one of the local guys to paddle you up the Rio Salsa through the natural beauty of El Boqueron. I promise you, you won’t want to miss out on this attraction. Finca Paraiso is a private property near Rio Dulce that is known for its Hot Springs Waterfall that cascades into to an icy cold river. 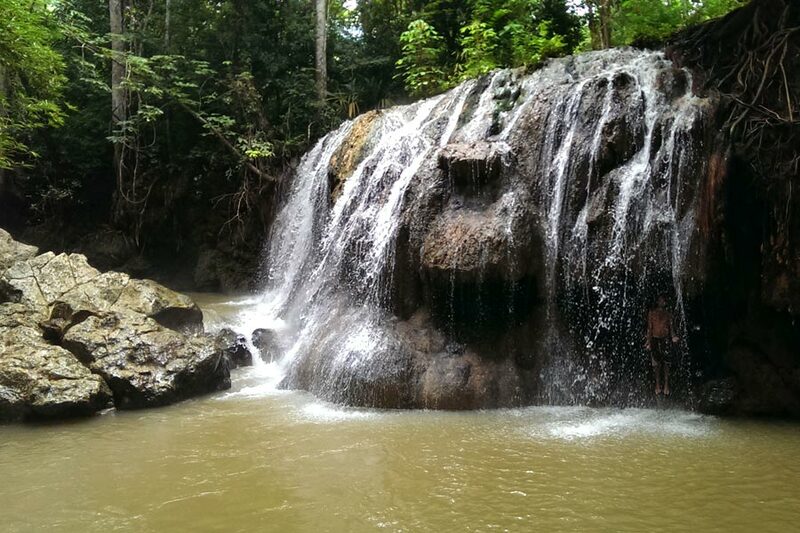 The falls are mainly visited by local tourists who arrive after noon, so get there early and enjoy a relaxing waterfall massage or a bath in the naturally forming jacuzzi without anybody else around. You can also climb to the top of the falls and follow the hot stream to its source to take a mud bath. 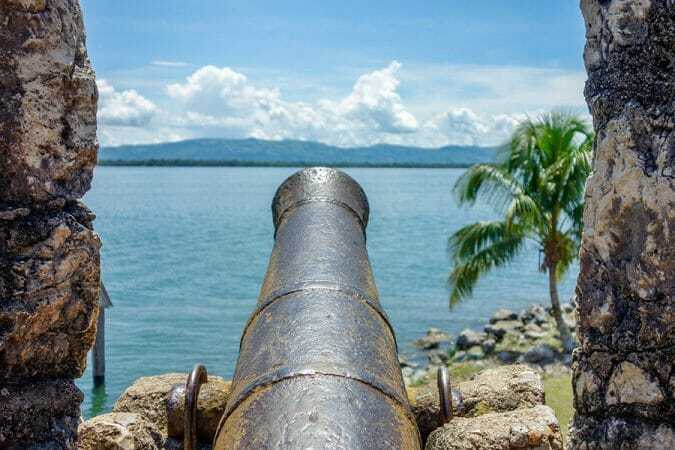 There is something nostalgic about visiting ruins and forts, especially Rio Dulce’s historical fort, Castillo de San Felipe, as the site really puts you back into the 1600’s when the fort was being used to defend against pirates. The castle is rather small but what it lacks in size it makes up in beauty. 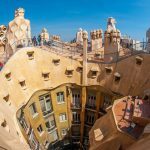 Squeeze through tight spaces, climb to the highest tower, explore the prison quarters, enjoy the view over the lake, and of course take millions of photos! 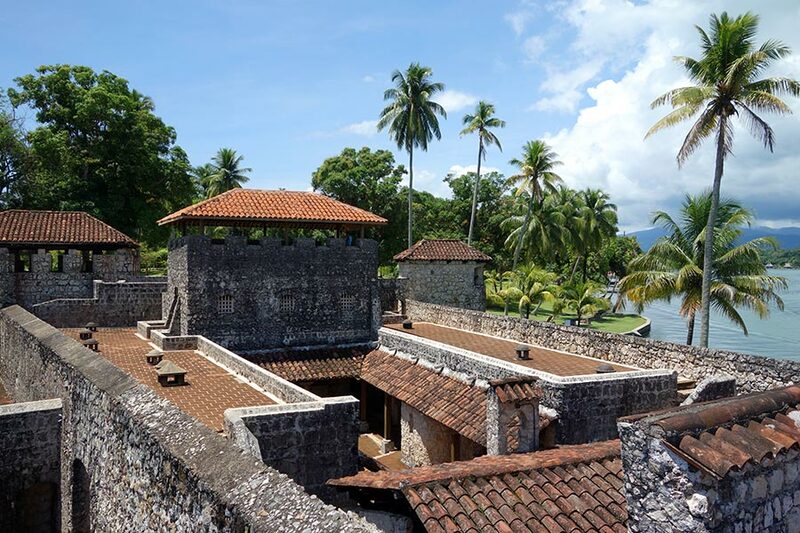 Once you are done visiting the well preserved castle, take a dip in the lake, relax and enjoy the sun at the Rio Dulce National Park, where Castillo is located. 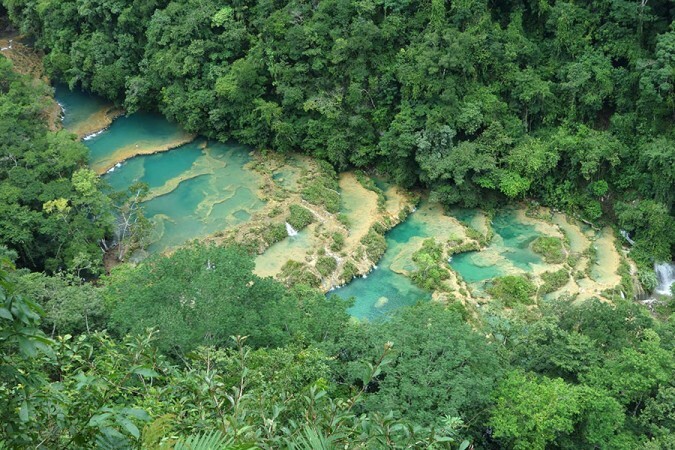 Semuc Champey is a 300m long natural forming limestone bridge in the midst of the jungle just 30mins from the town of Lanquin. Visitors not only come here to swim and relax in the turquoise water pools but also go river tubing, explore the nearby cave, and hike to the viewpoint from where you can overlook the beauty of Semuc. For many, Semuc Champey is consider one of the best places to visit in Guatemala. Yes, I know another colonial town made the list, but for good reason. 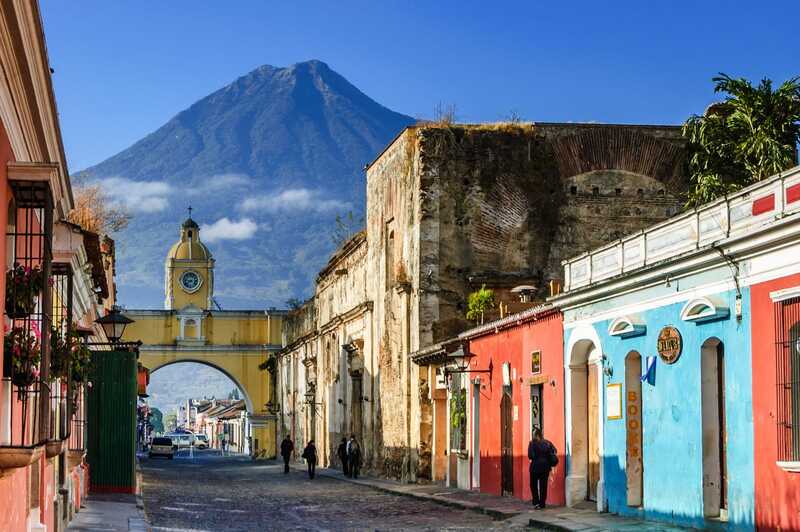 Antigua, located in the highlands of Guatemala, offers some of the best streetscape in the world. 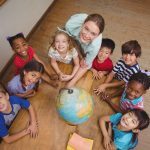 It is listed as a UNESCO World Heritage Site and many travelers base themselves here for a few weeks to either study Spanish at one of the many cheap Spanish School, explore the surrounding areas and its attractions or partake in one of the many activities around town. Xela, as the locals call it, is the second largest city in Guatemala and attracts travelers who want to get an authentic feel for today’s Guatemala without sacrificing their safety. 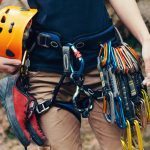 There are a number of Spanish schools around the city as well as plenty of volunteering opportunities for people interested in helping those in need, and if you are more of an outdoorsy person you will be glad to hear that the countryside of Xela offers some of the best hiking around. 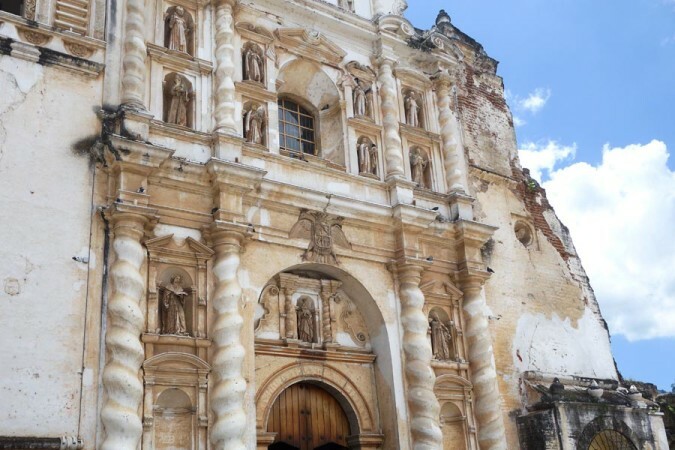 Either way, Xela is a great base to explore the western highlands of Guatemala. 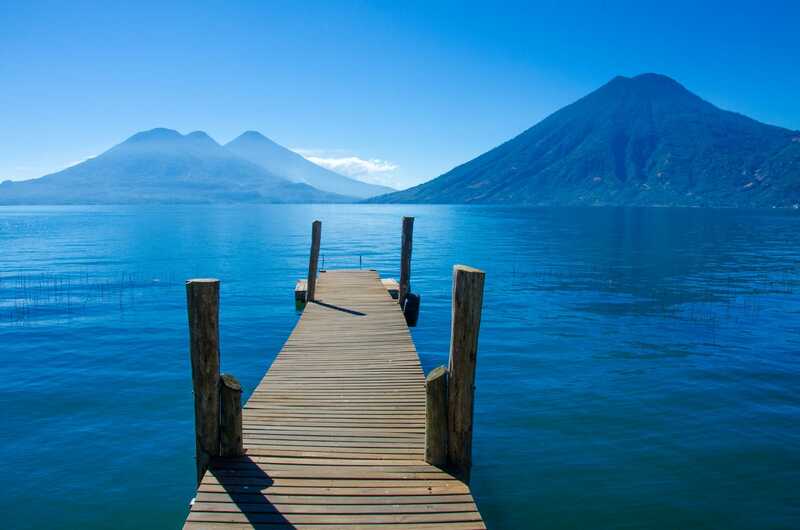 Lake Atitlan, located in the highlands of Guatemala, is said to be one of most beautiful lakes in the world. Its shoreline is dotted with Mayan villages, with Panajachel, San Pedro and San Marcos being the most popular ones. Each of those villages caters to a different type of traveler and has their own little charm. Panajachel is the biggest of the three and most travelers end up basing themselves here. The village is quite touristy but there are still a few cheap local spots to be found. San Pedro is known to be the backpacker’s party town and there is always some party going on. San Marcos is probably the sleepiest town of the three. People interested in meditation and other spiritual activities come here to enjoy the peaceful environment. Other villages such as Santa Cruz and Tzununa, are still very much untouched but as tourism continues to grow in this region, it won’t be long until they too are overrun by tourists. 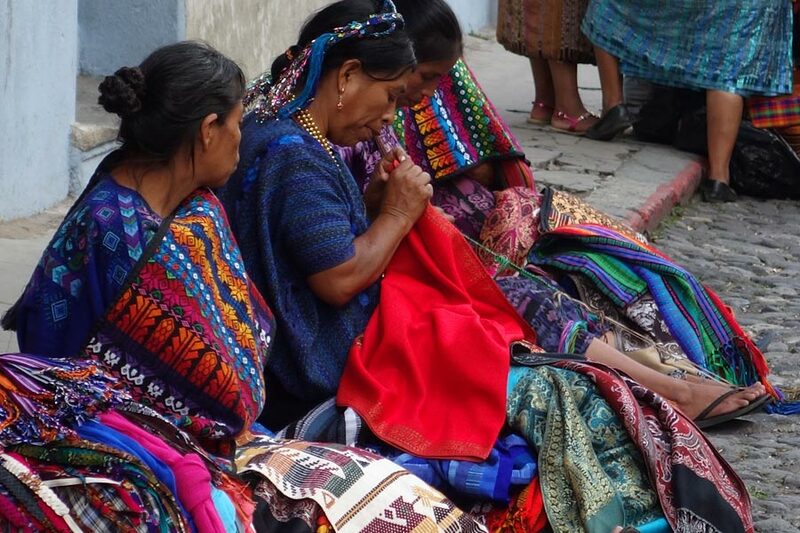 Chichicastenango is best known for its huge colorful and packed markets on Thursdays and Sundays, when vendors from all over Guatemala come here to sell their wares. If you want to pick up some souvenirs all while experiencing the chaos of one of the largest markets in the Americas you should definitely make a day trip to Chichi. Oh and don’t forget to bring your bargaining skills with you. 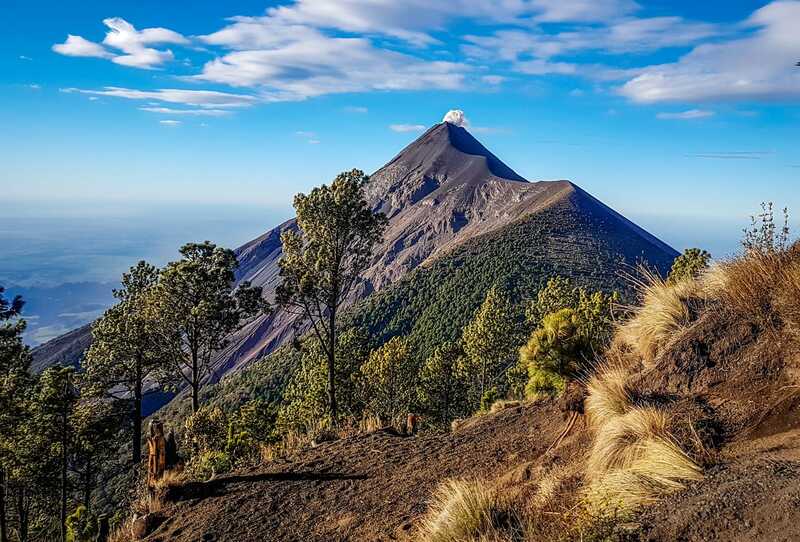 Guatemala is home to over 30 volcanoes but because of its close proximity to Antigua and a fairly easy hike to the top, Volcan de Pacaya is by far the most popular one. However, if you want more of a challenge consider hiking up the dormant volcano Acatenango, or the active and frequently erupting Volcan de Fuego, and if none of those tickle your fancy, try climbing the tallest volcano in Central America, Tajumulco. 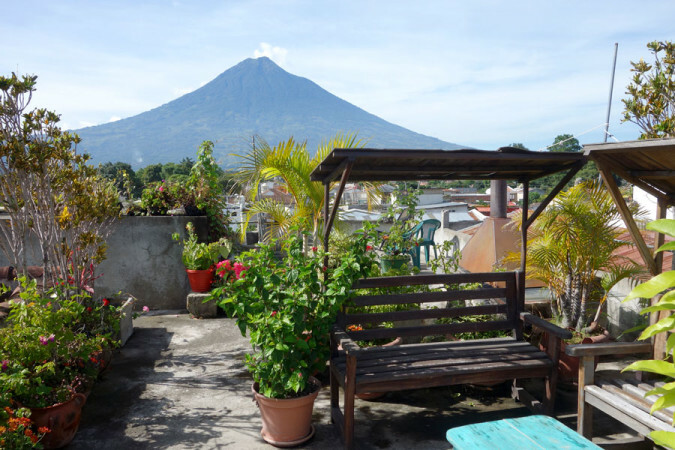 Either way, don’t you dare leave Guatemala without hiking at least one volcano! What do your think are the best places to visit in Guatemala? Let us know in the comments below. 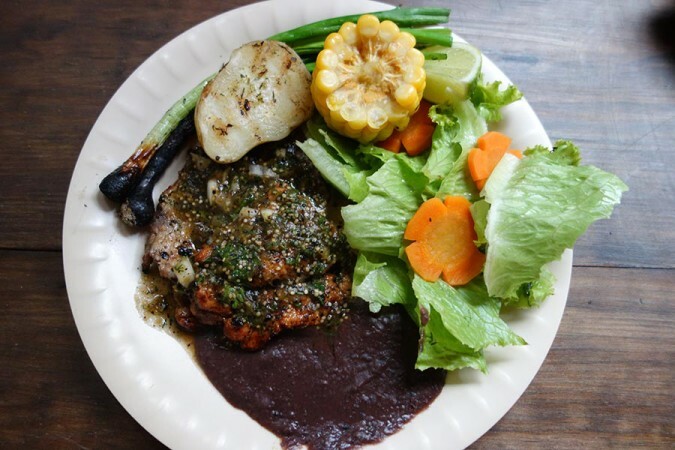 Very nice blog, and good information for the beautiful guatemalan places, i like this blog. I hope to visit all this places, some i know but not all. Thank you very much for talk about our beautiful Lake Atitlán, also. 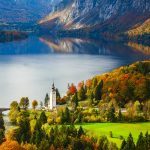 Beautiful pics and places to visit. 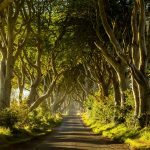 I have never been there but it looks like a great place to visit. The nature is at best. Thanks Marc, hope you get to see the real thing someday when you visit Guatemala! 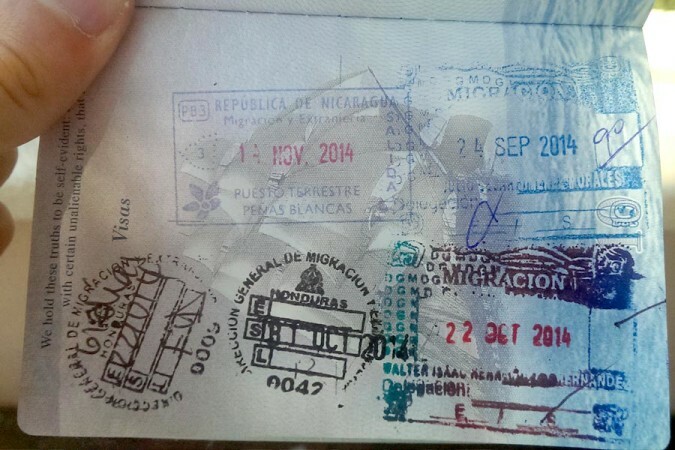 I visited Xela last February and went to language school there, staying with a local family. Once I learned of the history of US intervention in Guatemala–via the Dulles brothers and Eisenhower, the School of the Americas, etc.–going back decades to the 1950s and the US support for criminal acts against the people of this country, I can’t enjoy a tourist experience or think of living a low-cost retirement there without doing service with project run by Guatemalans. Visit, spend money and help the locals–especially the indigenous villages, and decide for yourselves.